It was only a couple of days ago we were reliving the discussions of which devices would be getting Gingerbread eventually -- with the clear choices having been the Motorola Droid 2 and the Motorola Droid X. 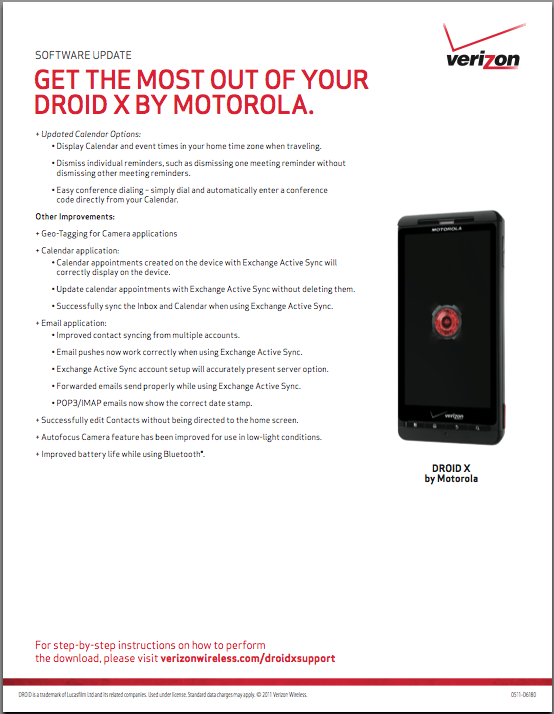 The Gingerbread leaks have arrived for both those devices and with the semi-official confirmations out of the way, it's no surprise really that Verizon has now posted up the changelog for what is the eventual release of Gingerbread for the Motorola Droid X. 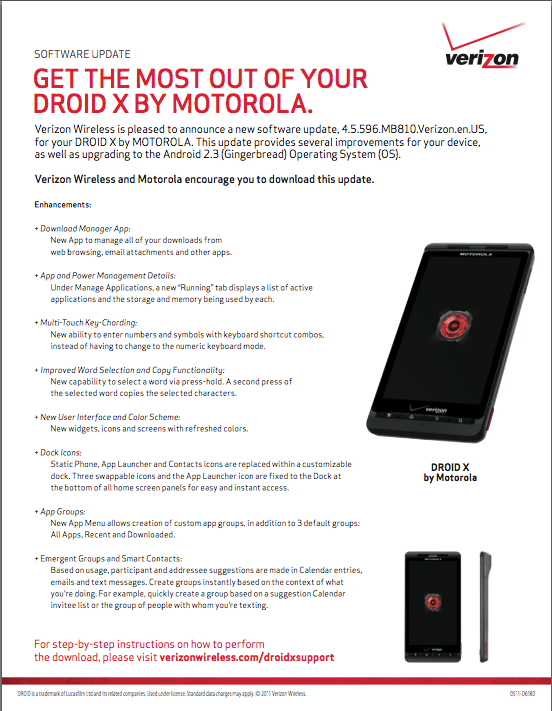 Sadly, the one thing the Verizon changelog lacks is an official release date, so we're still stuck waiting on that but it's nice to know that it'll be soon rather than later at this point, which is bound to make a lot of Droid X owners out there happy. Let this also stand as a friendly reminder for those of you whom may be rooted -- you'll want to go ahead and decline that update notification when it pops up until some folks get to have a look at it and ensure root can be maintained. Hit the source link below for the full .pdf changelog or you can jump on past the break for the second half of the above image.